I don’t think I have opened the fridge and poured myself a glass of milk since I lived in my parents’ house. And even then, I do not remember this as a familiar action. I never loved the taste of store-bought milk, nor craved it. I found it thin & tasteless and didn’t believe it provided much nutritional value for me; I usually used almond milk for things requiring a milk-like substance. Until now. This month has transformed me into the girl who excitedly awaits milk deliveries with ardent anticipation. When the jar arrives, I excitedly open the lid and skim a spoonful of cream right off the top before putting it in the fridge. Oh, the cream! What most milk drinkers have been robbed of…. In my opinion, lowfat/reduced-fat milk is a nutritional hoax and an offense to our species. Milk is meant to be whole and thick and creamy – just like it comes out of the cow. I have gone through a milk metamorphosis; my culinary clock revolves around when the next jars of milk will arrive. Originally, we thought we would each consume 1/2 gallon of milk per week. Now we pick up milk 2 or 3 times a week and have been going through a few gallons between us! 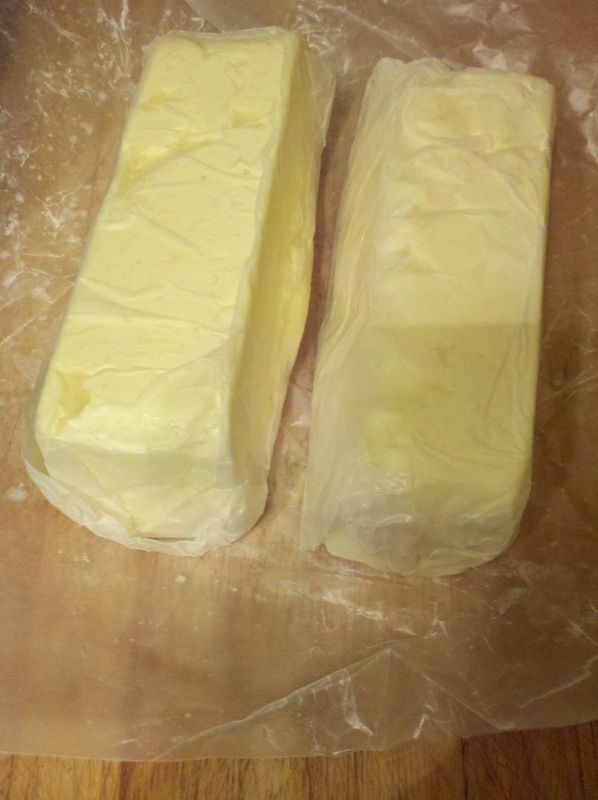 We, and I mean Gowan really, also severely underestimated our butter consumption and that problem has been resolved by upping our butter order to 1 pound/week – and that may not be enough. Milk and butter are like white gold and they are literally keeping us alive during the winter months. It’s not only keeping us alive; I believe that the enzyme rich unpasteurized fresh milk helped my recent ghastly thumb wound heal at superhero speed. A friend told me today that she has been making ghee with fresh butter and using the leftover milk solids as a skin ointment, which is healing chronic skin problems. I am a believer and this shouldn’t surprise me, but the simple magic of real food is continually astonishing. What have we done with all this milk? During the first couple weeks, I was too busy to do much more than make creamy soup and simply drink it from the glass – which was a bizarrely satisfying novelty in its own right. 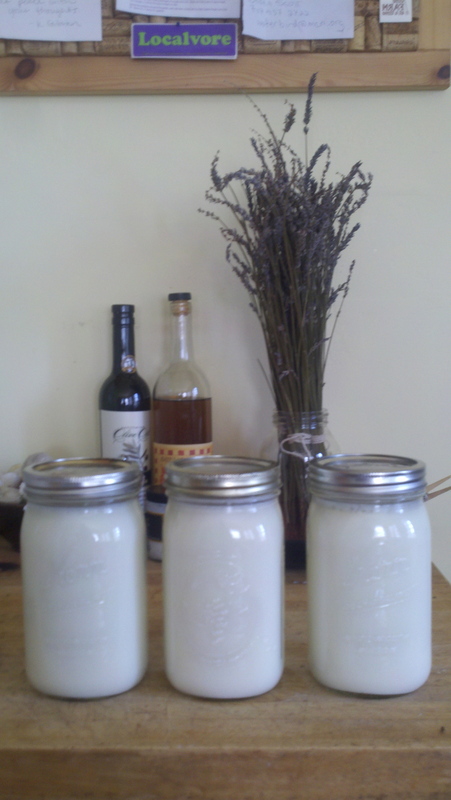 In Month 1 we made yogurt, steamed milk, more yogurt, farmers’ cheese, and then strained yogurt – my Greek ancestors would approve and there is no turning back to runny yogurt. 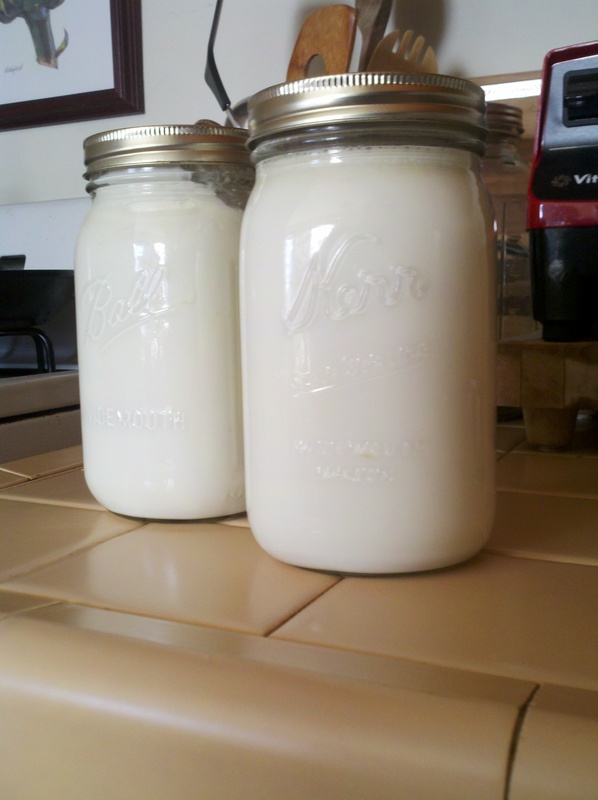 In Month 2 we have introduced kefir and custard to the milk repertoire. And someday… cheesecake! Oh boy, I am going to eat 30 local cheesecakes to celebrate my 3oth birthday this year. 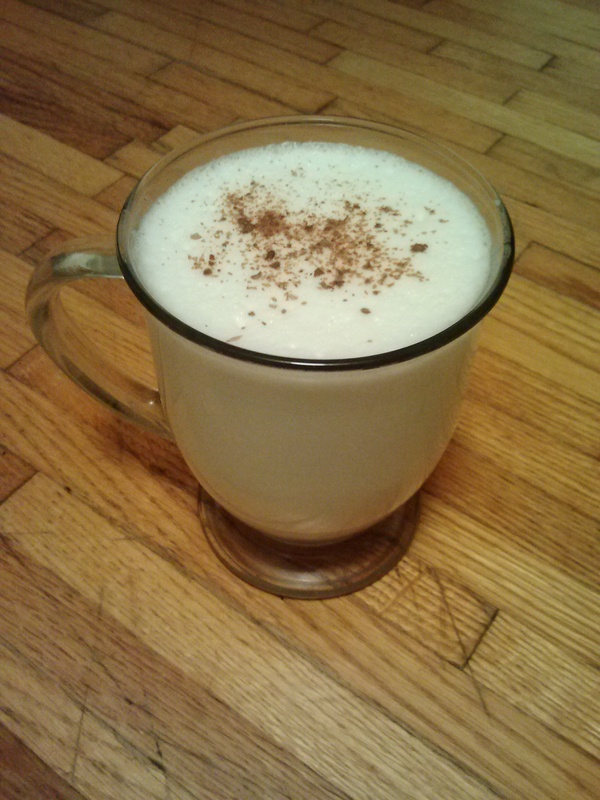 My new favorite nightcap is a steamed milk latte with honey, or infused with lavender flowers. Gowan has perfected a morning version with roasted bay nuts (pictured here). Natural divisions of milk labor have arisen. I make the yogurt and deliver 2 quarts to my sister-wife every week. (Confession of a locavore: one of my greatest joys is eating the skin that forms on the milk after cooling it for inoculation; there is something straight up primal and maternal about it.) 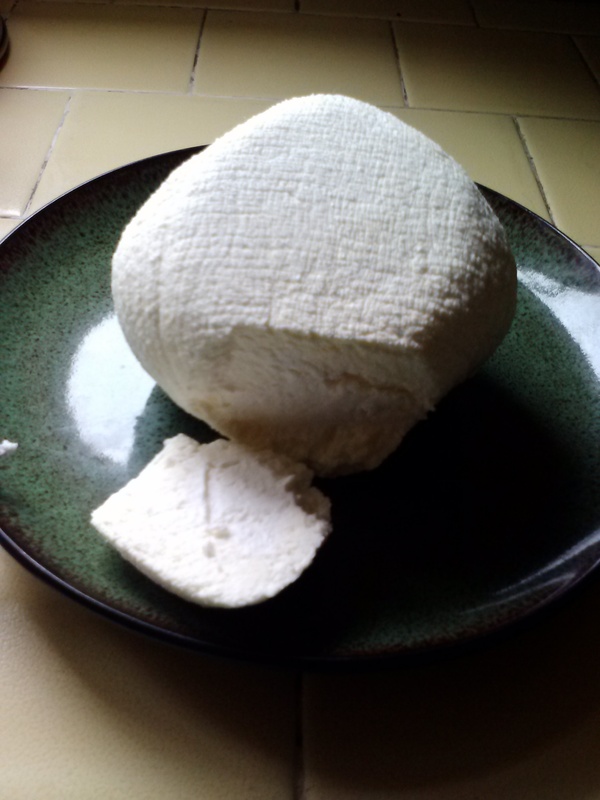 Gowan makes the farmer’s cheese and the kefir. 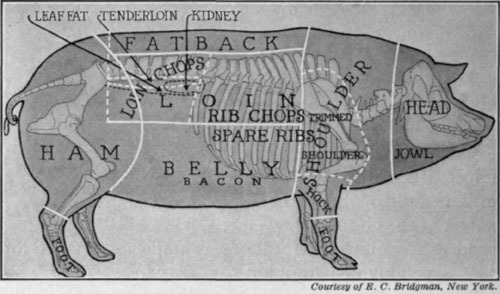 We are starting to develop rhythms somewhat more graceful and harmonious than a frantic scramble for calories. 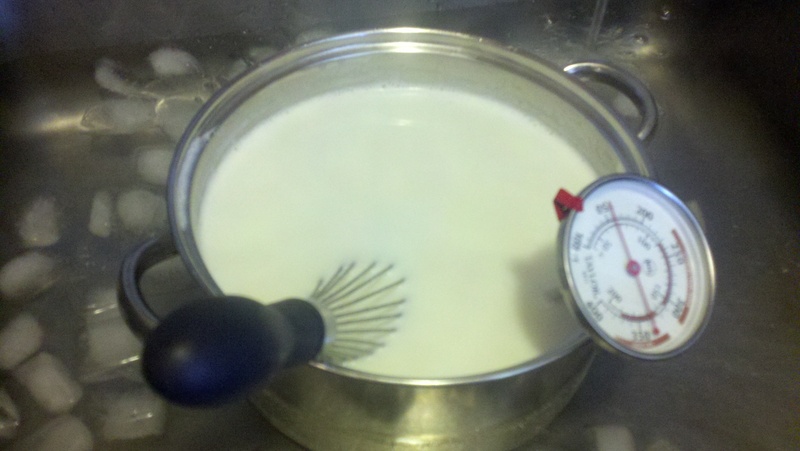 Processing milk is a delicate thing. I remember when my organic gardening teacher told us that asparagus is a lifestyle indicator; you have to know that you’re going to be in a place for a few years before you benefit from your crop, and it requires special conditions; it is an investment for the future. I have always thought that I’ll know I’ve reached a new level in my life when I plant asparagus. Similarly, our milk makings are short-term lifestyle indicators; milk is just as sensitive and the feedback loop is immediate. We must be present and attentive, and well – responsible. Yogurt requires heating and cooling milk to exacting temperatures and then keeping it steadily warm while the cultures do their magic for 8-12 hours. Keeping kefir grains alive requires daily washing and babysitting. 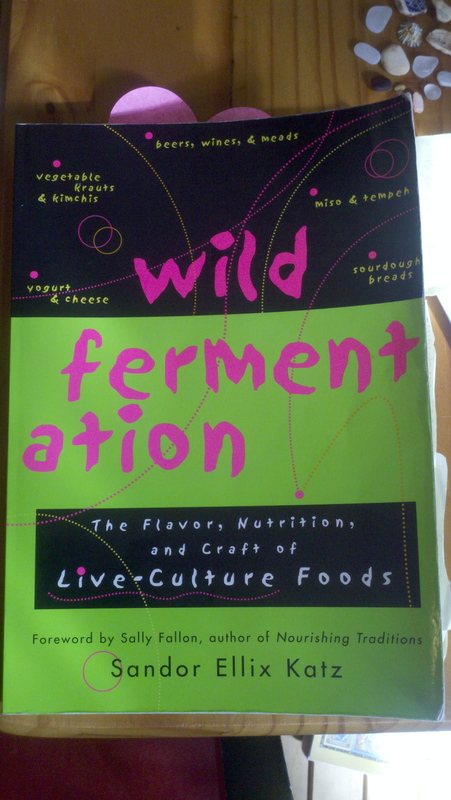 I have ruined a batch of yogurt by not coming home one night, and another because the cultures went a little funky. All this milk has sort of turned us into soccer moms; I travel with a cooler and ice packs and I have to think about how all of my decisions may impact my milk cultures, plus my ability to eat tomorrow. It’s a lot of responsibility. When leaving town for a work trip last week, I had to load my entire kitchen into the car and be on the road before 7 am; not surprised to later find out that I had left for a 5 day trip without a single pair of underwear in my suitcase. But, my milk was safely packed and chilled. I have to say, I am beginning to get mad nostalgic about the days of the milk man (even though that was way before my time). If a modern day milk man started showing up on my doorstep every morning, I would probably fall in love with him. Categories: Dairy, Musings, Uncategorized | Tags: butter, cheese, cream, eat local, fresh milk, locavore, yogurt | Permalink.